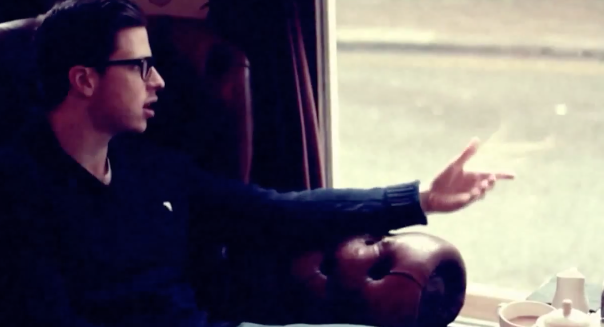 Unknown Element #9 – Nick Brewer – Spare Thoughts [@ItsNickBrewer] | "Up to date / state of the art / take part, get taken apart as I make my mark"
When this got sent through to me, I almost deleted it after looking at the screen shot. A moody black and white shot of a well heeled slick styled kid. This was nothing for the site. He had to be a singer for some indy band surely? Well turns out I was wrong. Since the email came from a press person I’ve had a few good things from, I thought I’d trust her and give Mr Brewer here a listen. And this jazzy introspective track is pretty good. I couldn’t spot where it was filmed that does the 2 for 1 cocktails every thursday from 10 till 2am though dammnit! This entry was posted on February 3, 2013 by Koaste in Hip Hop Videos, Live From The UK, Unknown Element and tagged Nick Brewer, Spare Thoughts, Unknown Element.